Being unable to hear the telephone can be really isolating for the elderly and hard of hearing, causing you to miss calls and making it more difficult to keep in contact with loved ones. The Doro 312cs Phone Easy Big Button Corded Telephone is a best-selling amplified telephone, designed to be accessible for those who struggle to use a standard landline telephone. The Doro 312cs PhoneEasy is hearing aid compatible and features an adjustable loud ringer and a visual ring indicator, great for alerting the hearing impaired to a call. 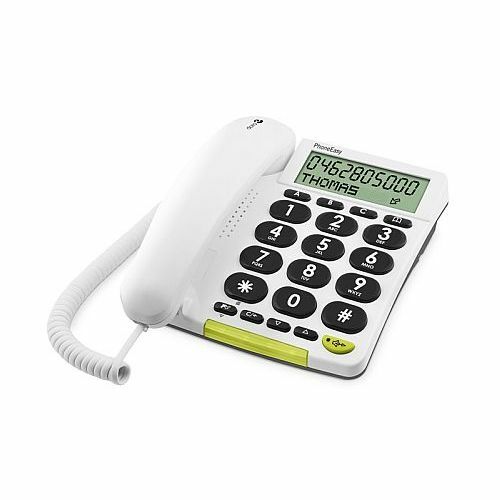 The Doro 312cs PhoneEasy also has a large, high contrast display, one touch memory buttons, big button concave keys and is easy to grip, so the hearing, memory and visually impaired and less dexterous can use the phone with greater ease.